Auburn’s hot streak has officially extended to the 2019 NCAA Tournament as the Tigers have moved on to the second round following a great start to in the big dance. Coming off the team’s unexpected journey to the 2019 SEC Championship, Auburn is going to be viewed by many as one of the most dangerous teams in the Round of 32. The No. 5 seed Tigers defeated the No. 12 seed New Mexico State 78-77 from Salt Lake City on the opening day of the tournament. The matchup was close until the very end as Auburn nearly choked away a sure victory as New Mexico State had a look at an open three as time expired but missed the shot. 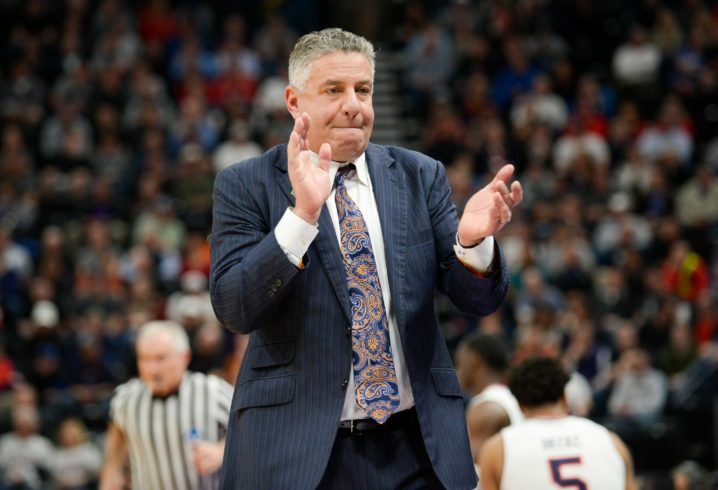 Known for their long-distance shooting, Bruce Pearl’s team didn’t disappoint in this game as the Tigers made a school-record 12 three-pointers in an NCAA Tournament game. That mark had never been done in Auburn’s history until Thursday. Overall, the team made 12 of 30 three-point attempts against New Mexico State. Once Auburn turned up the pace of the game in the second half, New Mexico State simply couldn’t keep up with the pace. Here was the final shot of the game that had to give Auburn fans a near-heart attack at the buzzer. Following this win, Auburn improves its overall record on the season to 27-9 and will face the winner of the upcoming game between No. 4 seed Kansas and No. 13 seed Northeastern on Saturday. Terrible coaching and play in the final 5 minutes of that game. I was starting to wonder if they were trying to throw it. Awful, there was a big questionable no call when NMS was trying to and DID foul Chuma & it turned into a TO. But..still alive!Even playing as bad as we did late. That was right up there with Northern Iowa vs TAMU (2016). Def dodged a bullet – now let’s regroup and get ready to take down Rock Chalk.